Give your bathroom an elegant makeover with the 36" Voranado Single Bath Vanity. Featuring a Dark Driftwood finish this vanity combines it natural appeal with the glimmering effects of antique mirrors that adorn the front of the eight functional drawers and the central single-door cabinet. 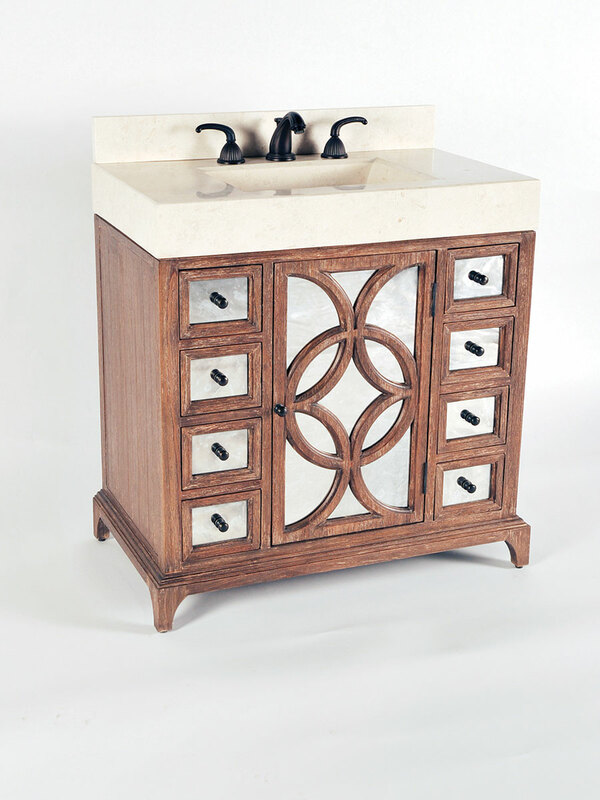 The top is composed of an integrated white agate fossil stone sink top and makes a grand focal point to any bathroom.